Daily: $15 includes electric. Weekly: $80 includes electric. Monthly: $155 (does not include electric). 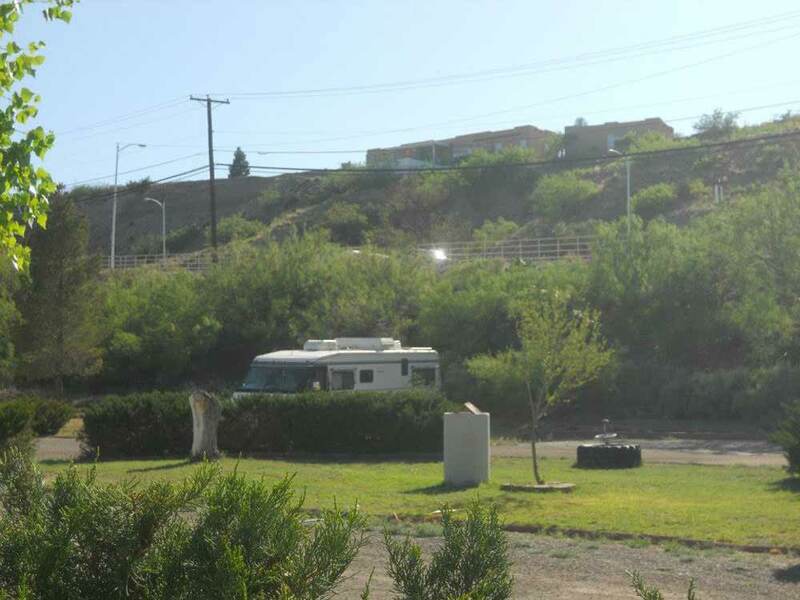 This is a quiet, adults only park located in the historic hot springs district and within walking distance to downtown. All spaces have been updated and are on large landscaped lots with beautiful views. Laundry and restroom w/shower is available to our guests. Directions: From I-25 take exit 75 (Williamsburg); follow Broadway into Truth or Consequences; turn right on Van Patten (just before you reach downtown); the park is on the right, at the corner of Broadway and Van Patten.